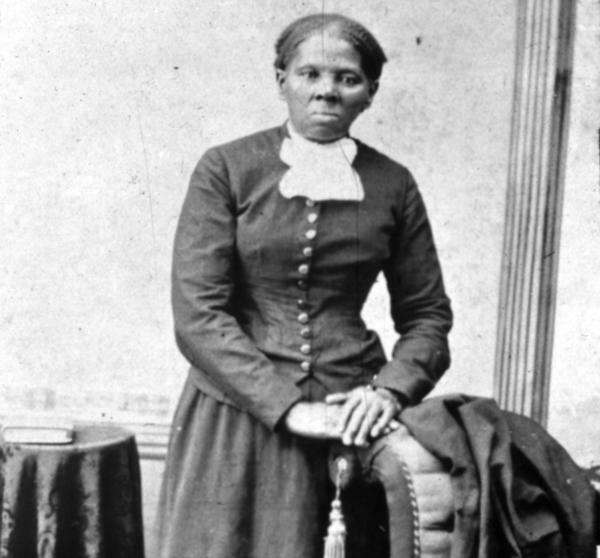 American abolitionist leader Harriet Tubman (1820-1913) led many slaves to safety using the abolitionist network known as the Underground Railroad. Treasury Secretary Jacob Lew announced on Wednesday that the countenance of abolitionist leader Harriet Tubman will grace a new $20 bill. The decision caps a public campaign asking for a woman to be placed on American paper currency and months of deliberation by the Treasury to replace either Alexander Hamilton on the $10 bill or Andrew Jackson on the $20 bill. "With this decision, our currency will now tell more of our story and reflect the contributions of women as well as men to our great democracy," Lew said in a letter to the American people. The decision also speaks to the diversity of the U.S., says Lonnie Bunch, the founding director of the Smithsonian's National Museum of African American History and Culture. "For me, having Harriet Tubman on the $20 bill really says, first of all, that America realizes that it's not the same country that it once was — that it's a place where diversity matters," Bunch told All Things Considered. "And it allows us to make a hero out of someone like Harriet Tubman, who deserves to be a hero." In a statement, the Treasury also announced that the new $20 note will keep an image of Jackson, who was a slaveholder, on the back. The new $10 bill will keep Hamilton on the front but in the back feature "an image of the historic march for suffrage that ended on the steps of the Treasury Department." Leaders of that movement — Lucretia Mott, Sojourner Truth, Susan B. Anthony, Elizabeth Cady Stanton and Alice Paul — will be honored in the image. As we've reported, last year, an unofficial contest by the activist group Women on 20s gave the nod to Tubman to take Jackson's place on the $20 bill. The campaign then sent a petition to President Obama. "We'll note that Tubman's appearance on the $20 bill would have a special historical resonance: That's the same amount she eventually received from the U.S. government as her monthly pension for her service as a nurse, scout, cook and spy during the Civil War, as well as for her status as the widow of a veteran." The Treasury had previously said a new $10 bill would feature a woman. But the popularity of the Broadway show Hamilton might well have put a stop to that plan. Lin-Manuel Miranda, the creator of Hamilton, personally lobbied Lew and after a meeting last month, he tweeted that the Treasury secretary had told him "you're going to be very happy." In an interview with Charlie Rose in March, Lew also previewed his decision saying, "Alexander Hamilton is one of my heroes. He's not leaving our money." Hamilton was the country's first secretary of the Treasury. The Treasury also said that a new $5 bill will honor two important American events that happened at the Lincoln Memorial: Marian Anderson's 1939 performance on the steps and Martin Luther King's 1963 "I Have a Dream" speech. The Treasury did not say when the new bills will enter into circulation but said the final concept designs of the new $20, $10 and $5 notes will be unveiled in 2020.